The Gulf Centre for Human Rights (GCHR) has received information regarding the treatment of Red Crescent volunteer Muhammad Raed Al-Tawil who is currently in detention in Al-Khatib state security prison in Damascus following his arrest a week ago. 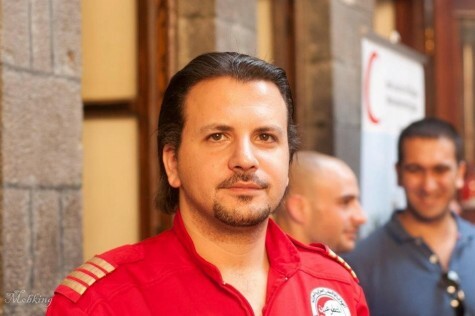 Muhammad Raed Al- Tawil is a board member of the Damascus branch of the Red Crescent and has been volunteering with the humanitarian organisation for 18 years. According to information received on 14 November 2012, the Red Crescent volunteer is being subjected to torture and ill-human treatment while in detention at Al-Khatib state security prison. No known charges have been brought against him. At approximately noon on 8 November 2012, Syrian security forces arrested Muhammad Raed Al-Tawil from the headquarters of the Damascus branch of the Syrian Red Crescent where he was working. No reason was given for his arrest and his whereabouts remained unknown until now. Muhammad Al-Tawil, aged 36, is a prominent Red Crescent volunteer who at the time of his arrest was managing emergency services in the region aimed at all those in need, irrespective of their political persuasions. During the past 18 years that he has worked with the Red Crescent he was involved in the management of responses to such crises as the Zinzun dam disaster in 2002, the war on Iraq in 2003 and the war in Lebanon in 2006. Grave concern is expressed for the physical and psychological safety of Muhammad Raed Al-Tawil following the reports of his ill treatment. Such concern is heightened by the fact that the human rights defenders suffers form a previous back injury which he sustained while on a mission with the Red Crescent and he is need of on-going medical treatment. The arbitrary arrest of an international humanitarian organisation volunteer is stark evidence of the human rights violations being carried out at the hands of the Syrian authorities. The GCHR fears for the safety of Muhammad Raed Al-Tawil and condemns his arrest and detention, which it believes are solely related to his peaceful humanitarian and human rights activities. Guarantee in all circumstances that all human rights defenders in Syria are able to carry out their legitimate human rights activities without fear of reprisals and free of all restrictions including judicial harassment. The GCHR reminds the Syrian government that the United Nations Declaration on the Right and Responsibility of Individuals, Groups and Organs of Society to Promote and Protect Universally Recognized Human Rights and Fundamental Freedoms, adopted by consensus by the UN General Assembly on 9 December 1998, recognises the legitimacy of the activities of human rights defenders, their right to freedom of association and to carry out their activities without fear of reprisals. We would particularly draw your attention to Article 5 (b) “For the purpose of promoting and protecting human rights and fundamental freedoms, everyone has the right, individually and in association with others, at the national and international levels (b) To form, join and participate in non-governmental organizations, associations or groups” and Artice 12 (2) “The State shall take all necessary measures to ensure the protection by the competent authorities of everyone, individually and in association with others, against any violence, threats, retaliation, de facto or de jure adverse discrimination, pressure or any other arbitrary action as a consequence of his or her legitimate exercise of the rights referred to in the present Declaration”.